This year the iconic Downtown Studios (Downtown Music Hub) is celebrating 40 years of contribution in the music industry which is quite a huge milestone in SA. Originally known as RPM Studios, which was established in 1979 by Matt Mann and Dan Hill. In 1982, Gallo purchased RPM Studios and RPM Record Company, which then became divisions of Gallo Africa. The name RPM Studios was changed to Downtown Studios in 1990. The name RPM Records did not change. In 2008, the studios were purchased by the National Arts Council, under the auspices of the Department of Arts and Culture. Now known as the Downtown Music Hub, and set up as a section 21 company. 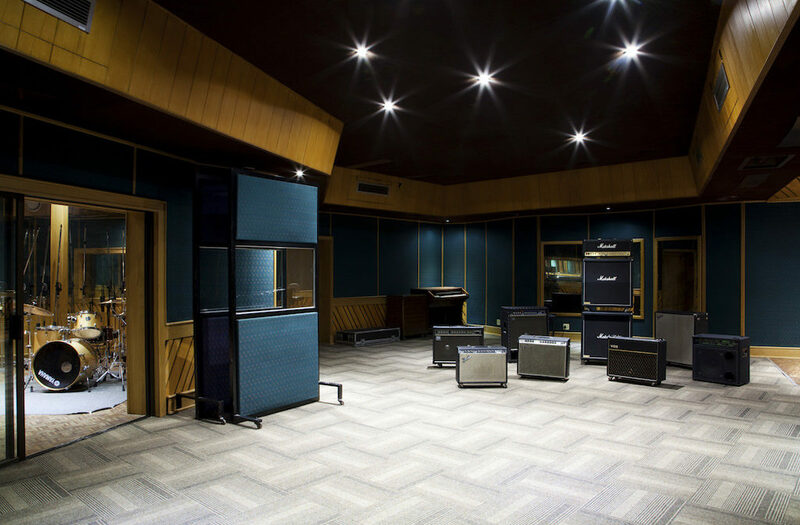 Downtown Studios are legendary in the South African Music Recording Industry. Since its origin, as RPM Studios in the ’70s, the studios were, for the most part, free from the stresses and strains of the Apartheid system. The Studios were a place where people involved in the music business could escape from the confinements of laws such as the group areas act and collaborations between black and white musicians and producers took place freely, without any interference from the authorities. Musicians and producers from across the racial divide busied themselves in the state of the art facilities, producing top local and international hits. RPM Studios were a haven for musicians that were political activists and who used music to further the objectives of the ANC and in bringing the atrocities of the apartheid system to the eyes and ears of the world. Artists like Miriam Makeba, Hugh Masakela, Jonas Gwangwa, Sipho Hotstix Mabuse and Don Laka, etc composed and produced struggle songs from these studios and they subsequently traveled the world spreading the message in the quest to free South Africa from injustice. Legendary producers like West Nkosi, Hamilton Nzamande, Tom Mkhize, Richard Siluma, and many others plied their trade here. Downtown Studios were also the creative home for legendary play writers Mbongeni Ngema and Gibson Kente. Mention should also be made of the role Downtown Studios played in synergising with the ANC’s rehearsal rooms, Dorkay House, under the leadership of legendary activist Queeneth Ndaba. Steeped in tradition and awash with good memories, Downtown Studios has been the meeting place for local artists for many years and it lends a creative edge to their recordings. For over 30 years, Downtown Studios have been sought out by the biggest names in the business in their pursuit of excellence…… A number of international artists have come to Downtown Studios to get a truly African influence on their productions; not only for the expertise but for the all-round experience they take back with them. International producers that come here, often return… Many artists have received globally recognized accolades like Grammy Awards, locally S.A.M.A awards and many more for work they did at Downtown. Since 1979, RPM and later Downtown Studios, has recorded numerous gold and platinum discs, an accomplishment we are immensely proud of. Downtown Studios is renowned for its success with collaborative projects. In 1989. Manfred Mann recorded his smash hit album Plains Music in studio 2, with a fusion of South African, Swazi and North African music. His version of Nkosi Sikelele charted in the U.K. Simon Lebon from Duran Duran were inspired to record in South Africa whilst on tour. The group moved into Downtown, and emerged 2 days later with an awesome mix of their recognisable Brit-pop and a South African Township vibe. The hit single we’re in this together on Simply Reds Life album was recorded in Downtown Studios in five days, Mick Hucknell utilised about 20 South African session singers on the track. Hugh Masakela did the flugal horn solo and his band performed parts of the rhythm track. Bono and U2 also wrote a song whilst on tour in South Africa and decided they should record immediately; they too left with a piece of Downtown etched into their souls. Through the years, the studios have played home to music videos, TV interviews, soapies and drama series that are popular to the local market. Downtown Studios, be what you want to be and make the music of your dreams.